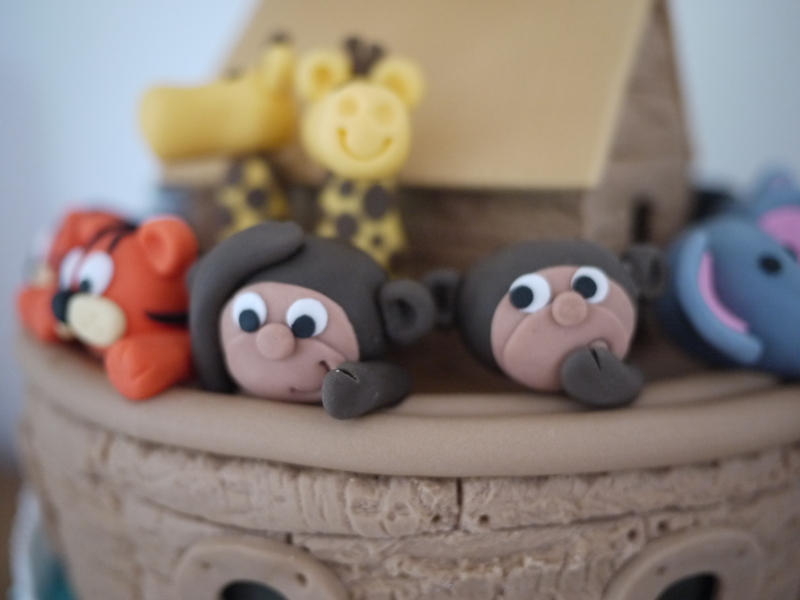 A few weeks ago I made a Christening cake for my friends Chloe and Rory’s sons Christening. 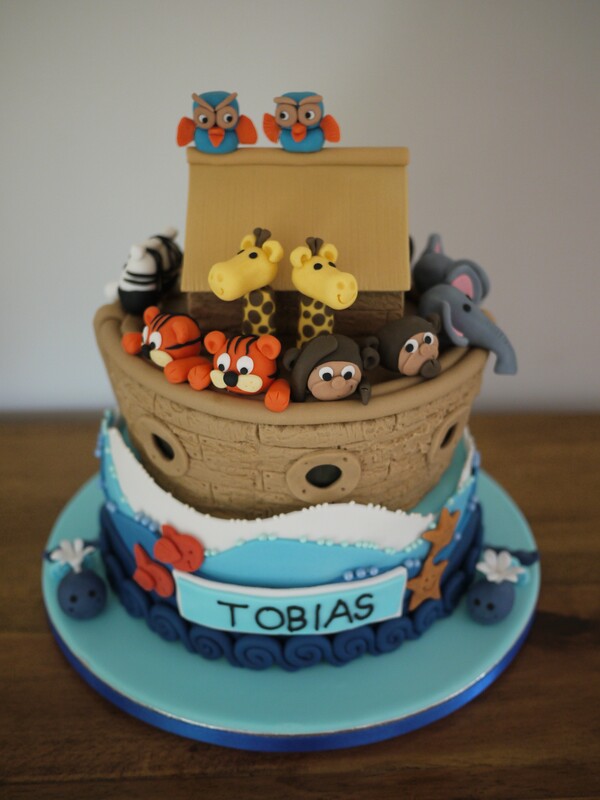 They had the lovely idea of a Noah’s Ark cake. 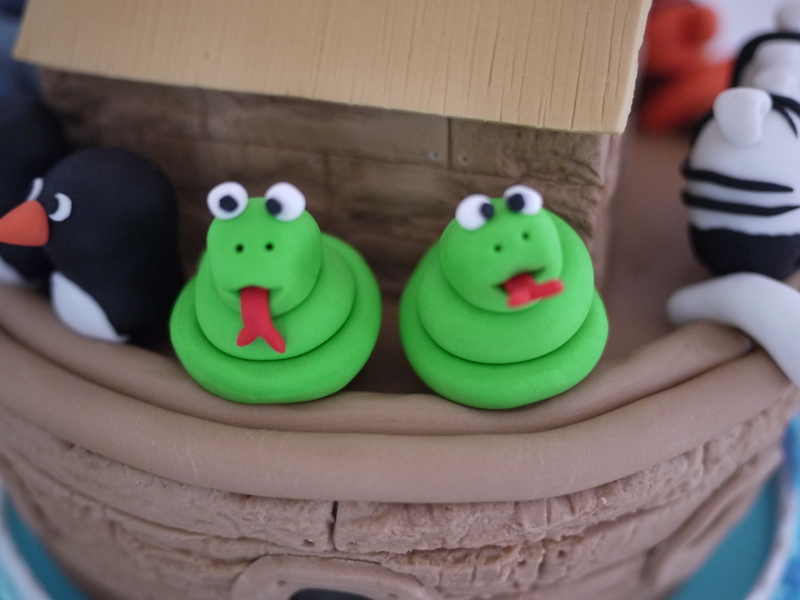 I took some inspiration from Pinterest and had an enormous amount of fun creating this cake! 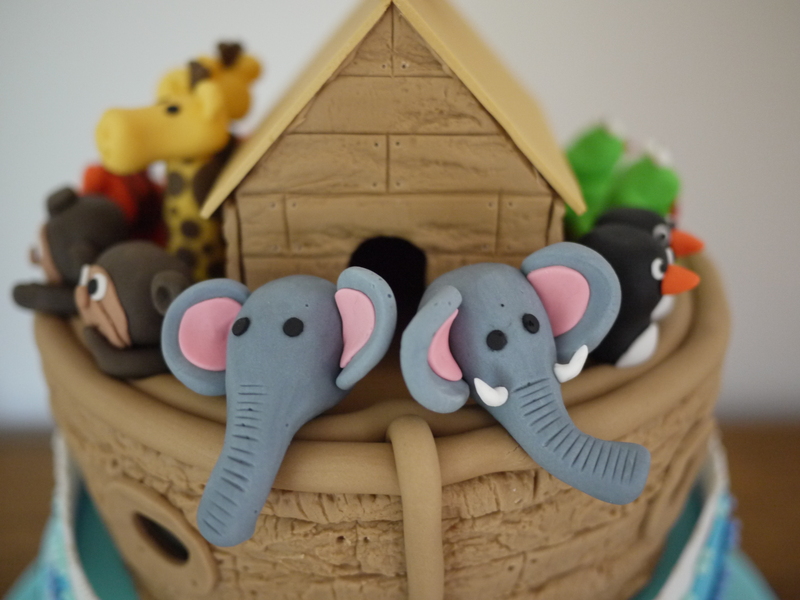 The cake I took inspiration from only had one of each animal on, so I decided that for it to more accurately match the Bible story the animals should be in pairs. I spent a day making two of each of the animals and gave them each a bit of character. The bottom tier of the cake was rocky road, one of my favourites! The recipe can be found here. The top tier was a rich fruit cake, another favourite, the recipe is here. 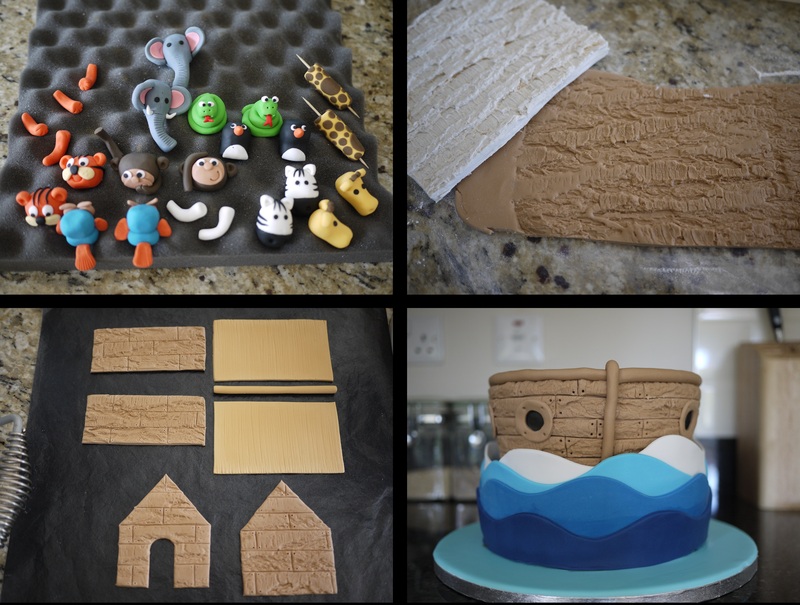 I’m not going to explain how I made each bit as it would take too long, but couldn’t resist including lots of photos of all the animals. 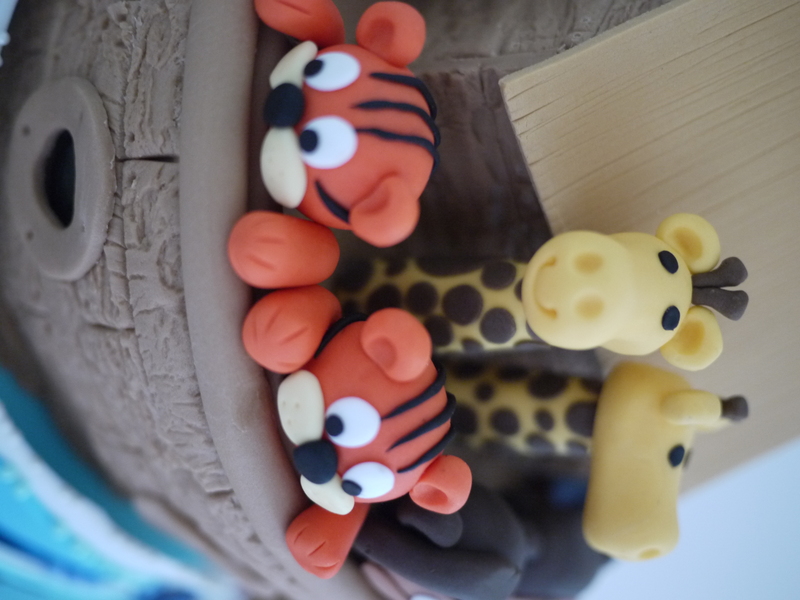 And the tigers and giraffes – I think these are my favourite! 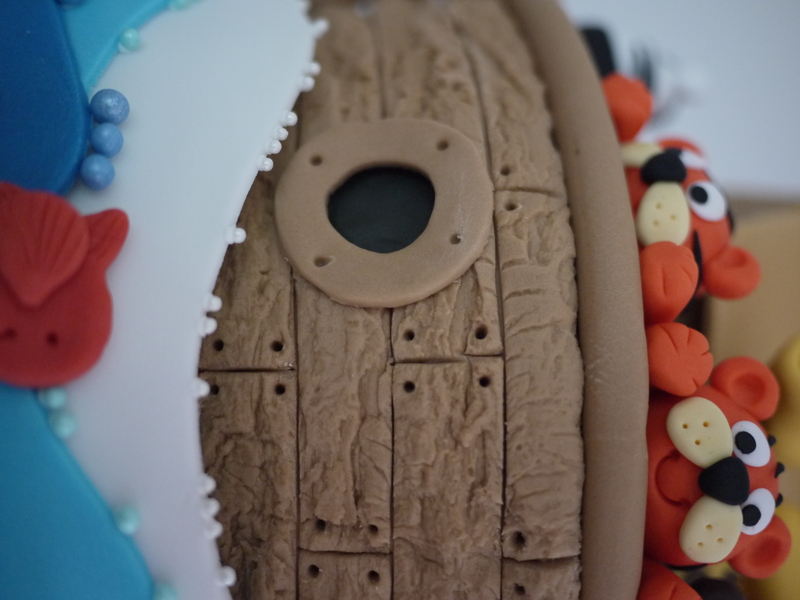 The cake was a huge success, hopefully I will have the opportunity to make something this fun again in the future! 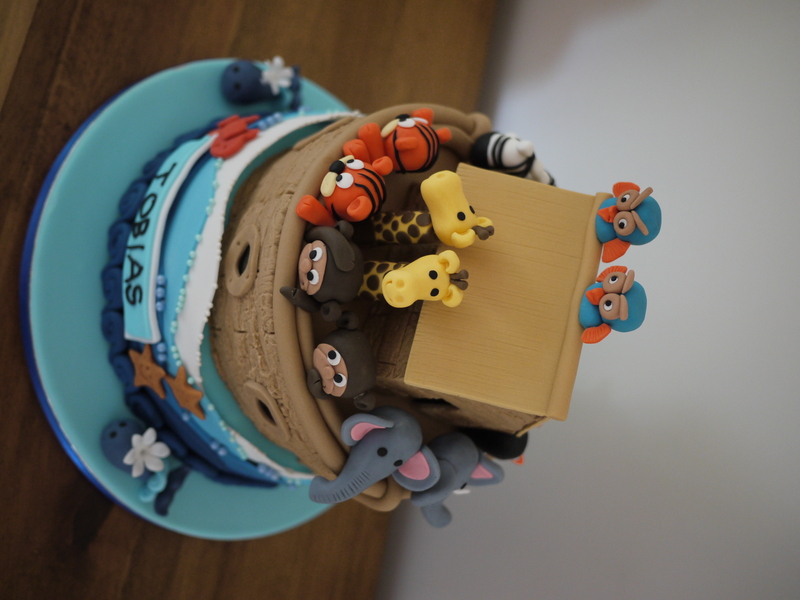 That’s such a cute cake. All the animals look so perfect. Love it!